Free Shipping Included! Little Colorado Traditional Bookcase, Linen by Little Colorado at Indsight. MPN: 065LIN. Hurry! Limited time offer. Offer valid only while supplies last. 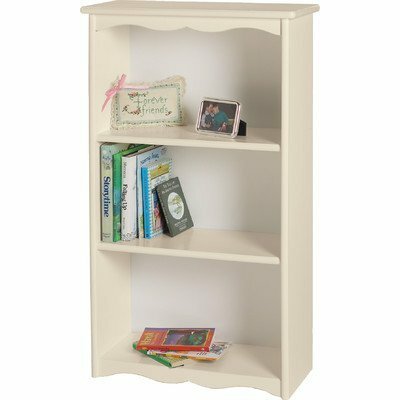 65-LINEN Finish: Linen Features: Product Type: -Bookcase. Back Panel: -Closed back. Installation Type: -Free standing. Orientation: -Vertical. 65-LINEN Finish: Linen Features: Product Type: -Bookcase. Back Panel: -Closed back. Installation Type: -Free standing. Orientation: -Vertical. Primary Material: -Wood. Eco-Friendly: -Yes. Country of Manufacture: -United States. Number of Tiers: -3. Dimensions: Overall Height - Top to Bottom: -40". Overall Width - Side to Side: -23". Overall Depth - Front to Back: -11". Overall Product Weight: -30 lbs. Assembly: Assembly Required: -Yes.